Και το νέο Kia Rio έκανε ντεμπούτο στη Γενεύη. Το νέο Rio θα είναι διαθέσιμο σε 3θυρη και 5θυρη έκδοση και σε σχέση με το απερχόμενο Rio είναι μεγαλύτερο σε μήκος κατά 55 mm, 25mm φαρδύτερο και 15mm μικρότερο σε ύψος. Το μεταξόνιο του ανέρχεται στα 2.57 μέτρα, 7 εκατοστά μεγαλύτερο από τον προκάτοχο. Χάρη στα παραπάνω το αυτοκίνητο διαθέτει μεγαλύτερη καμπίνα με τον χώρο των αποσκευών να ανέρχεται στα 292 λίτρα στην 3θυρη και 390 λίτρα στην 5θυρη έκδοση. Στο εσωτερικό του έχουνε χρησιμοποιηθεί καλύτερης ποιότητας υλικά και μεταξύ άλλων συναντάς θερμαινόμενα καθίσματα και σύνδεση Bluetooth. Μηχανικά θα υπάρχει μια γκάμα 4 κινητήρων, 2 βενζίνης και 2 πετρελαίου. Entry-level είναι ο 1.25 λίτρων απόδοσης 85 ίππων με 118 Nm ροπής που επιτρέπει στο Rio να κάνει τα 0-100 χλμ/ώρα σε 13 δευτερόλεπτα και τελική 167 χλμ/ώρα. Ακολουθεί ο 1.400αρης των 109 ίππων και 136 Nm ροπής που κάνει τα 0-100 χλμ/ώρα σε 11.5 δευτερόλεπτα και τελική 181 χλμ/ώρα. Πρώτα θα ξεκινήσει την εμπορική του καριέρα η 5θυρη έκδοση μέσα στο 2011 ενώ στις αρχές του 2012 θα κυκλοφορήσει και η 3θυρη. Φωτογραφίες, video και δελτίο τύπου στη συνέχεια. 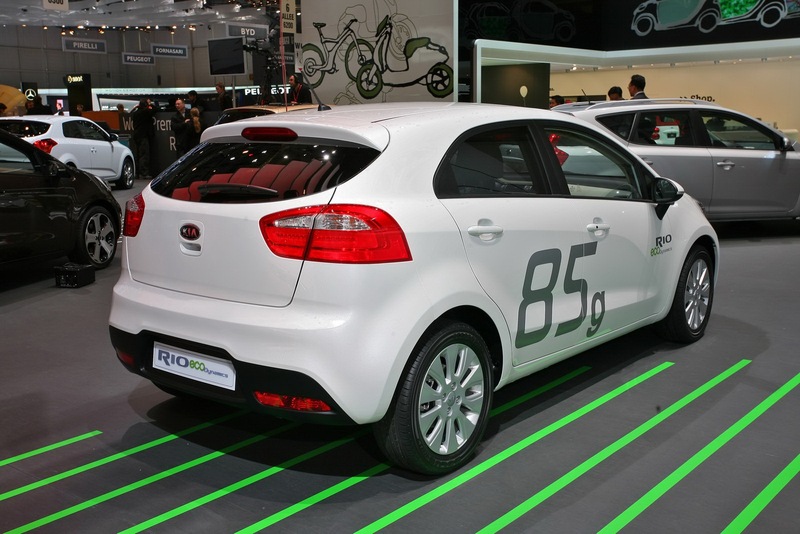 Kia’s all-new fourth-generation Rio, revealed at the 2011 Geneva Motor Show, boasts a bold and distinctive personality, bringing the latest model into line with the rest of Kia’s striking design-led product range. 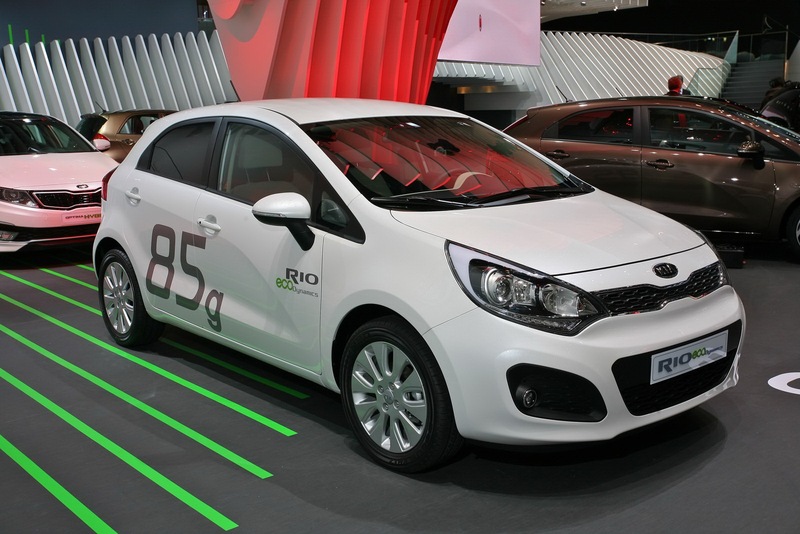 Tasked with the difficult job of improving upon the international sales success of the previous generation model, Kia’s engineers and designers have created a new Rio which appeals to consumers’ aesthetic tastes. 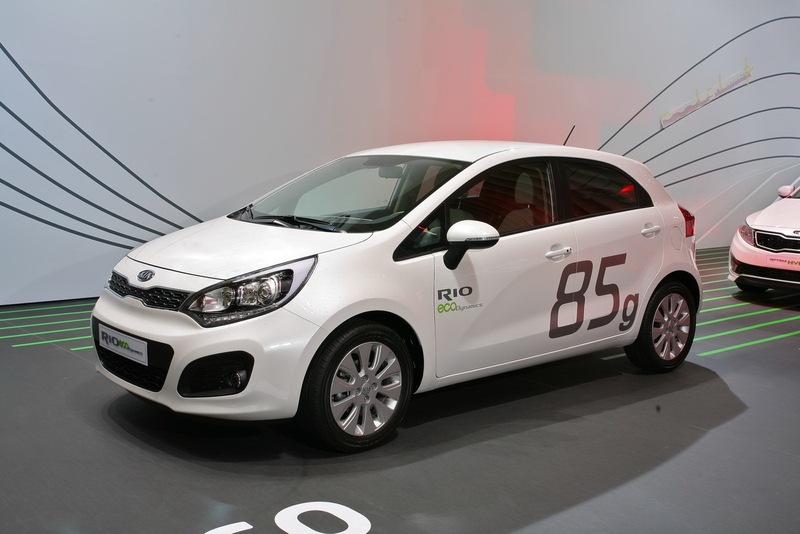 However, new Rio will also drive sales through its low running costs and class-leading CO2 emissions – with target figures for the model range starting at just 85 g/km. 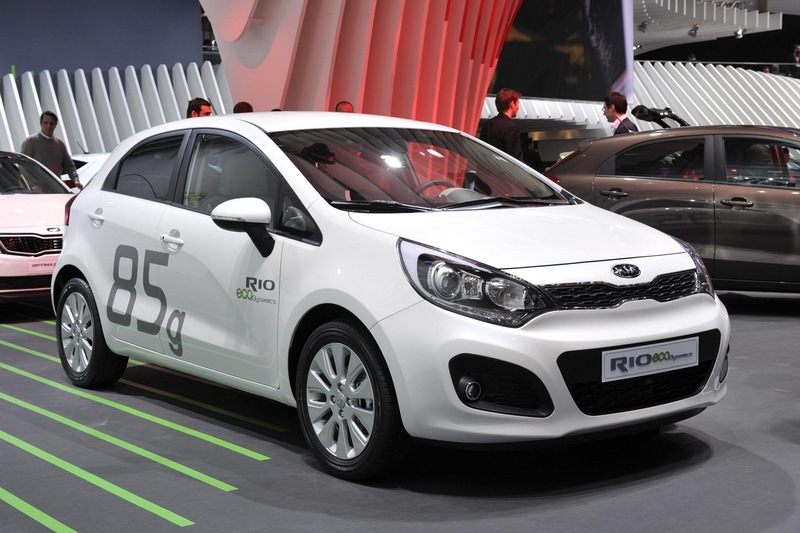 Since its launch in 2005, global sales of the third-generation Rio have totalled more than 860,000 units. It was the company’s third best-selling vehicle in overseas markets during 2010 with sales of more than 219,000 units, sales in the UK total 52,626 units. The new Rio model is longer by 20 mm, wider by 25 mm, and lower by -15 mm and features a wheelbase extended by 70 mm to 2,570 mm – greatly enhancing passenger space and cargo capacity. 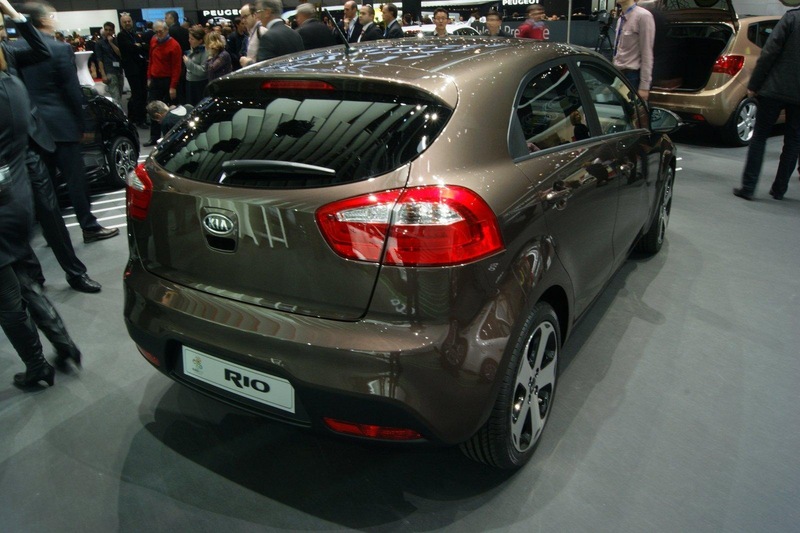 Manufactured for the first time with a choice of 5-door and 3-door bodystyles, the new Rio is set to completely redefine its position and Kia is confident of capturing a larger share of the growing B-market segment. 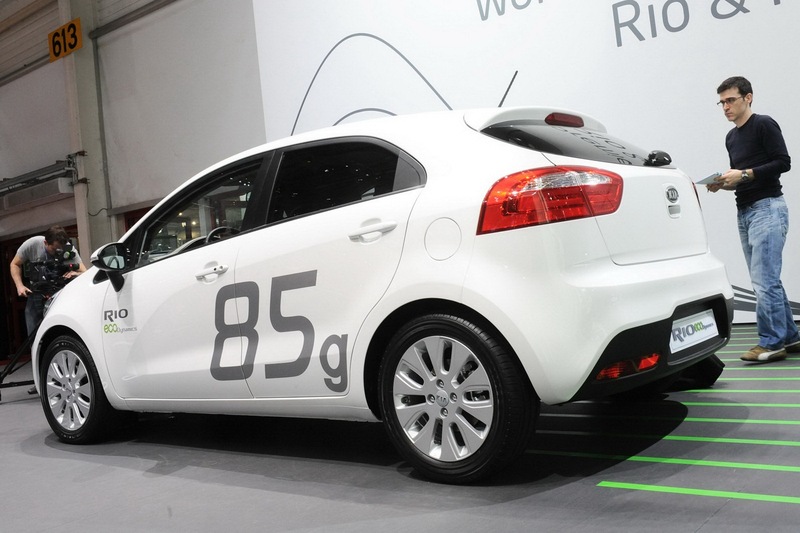 To lower fuel consumption and help achieve Rio’s class-leading emissions, Kia engineers have carried out an extensive programme to shed weight across a broad range of components. 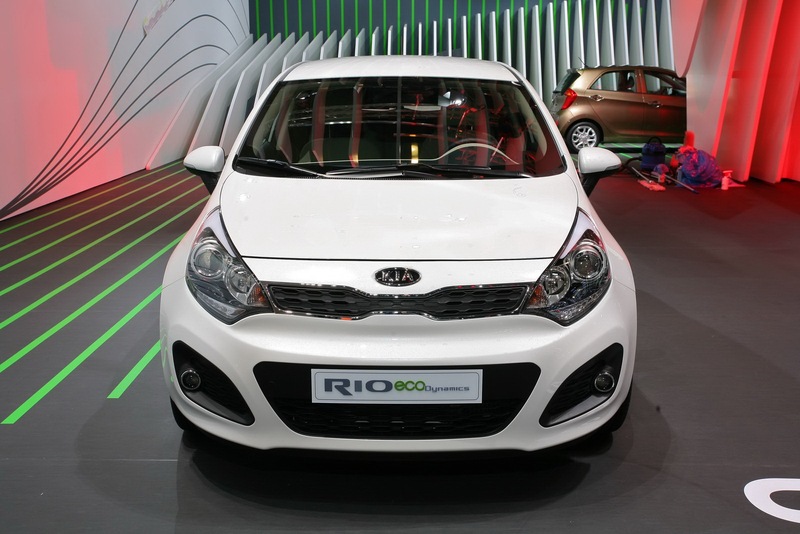 As a result, although new Rio is a significantly larger car than the third-generation model with extra equipment, its weight-gain has been kept to a minimum. 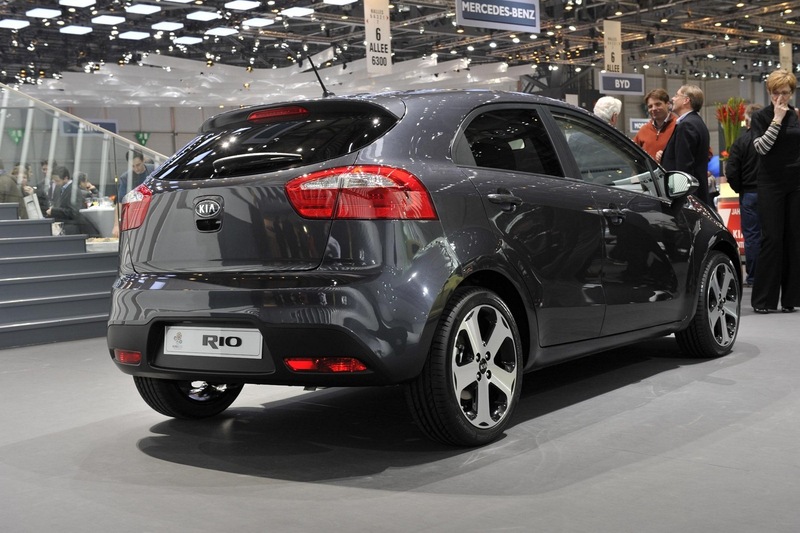 The 5-door version of new Rio will go on sale in the UK from September with the all-new 3-door model on sale from early 2012. Both versions will be manufactured exclusively at Kia’s Sohari plant in Korea. This new car is no evolution of its predecessor, it is a revolution. 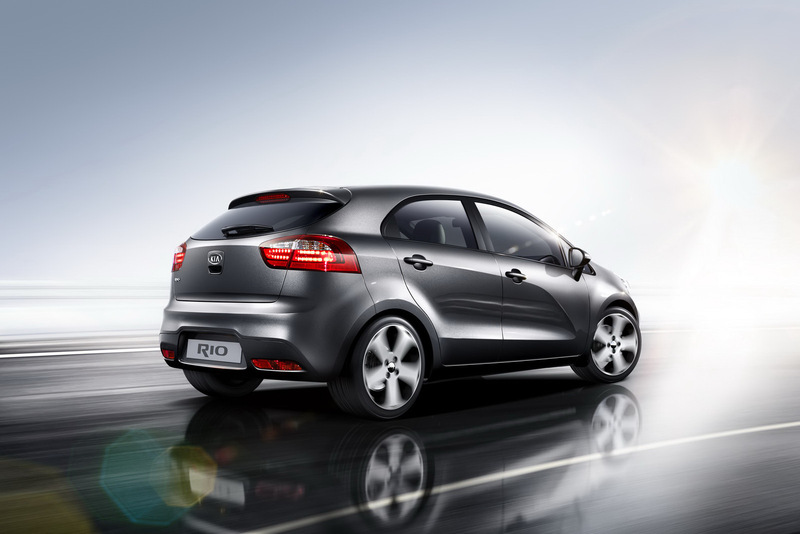 The bold and distinctive personality of the new Rio represents a complete departure from its predecessor and fits perfectly into the revitalised new family of Kia products. Viewed head on, new Rio has its own unique interpretation of the Kia corporate grille which is integrated with the front lamps to create a new twist on the Kia family look. In this latest form, the Kia logo now sits above the grille. 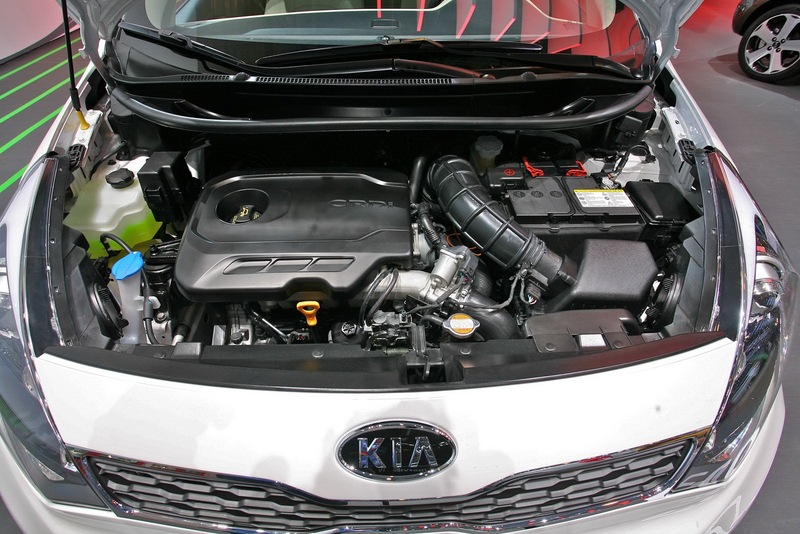 Below the grille, the treatment of the front bumper and spoiler again shows signs of the Kia design DNA. 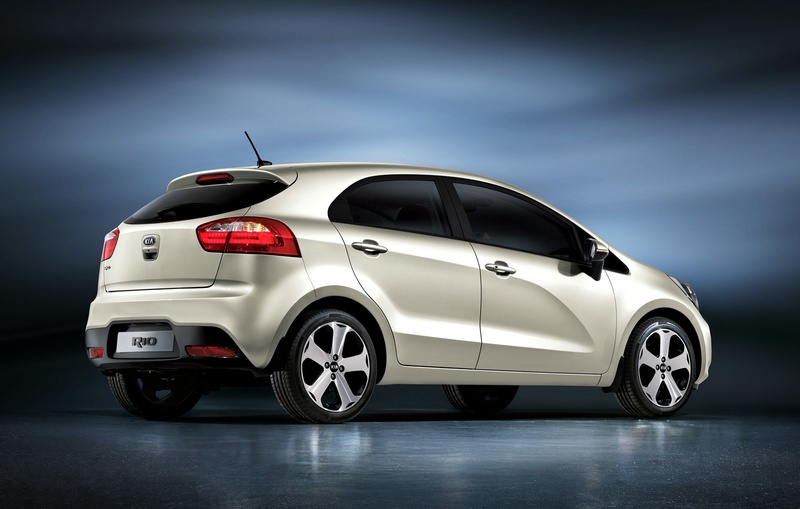 In profile, the ratio of body to glass and the car’s strong wedge form give Rio a dynamic stance. 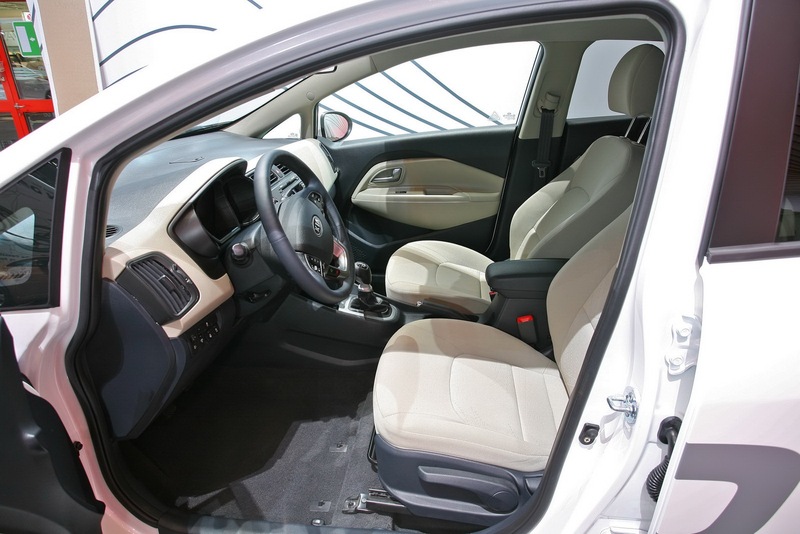 The Rio shows its connection with the Sportage, too, through its strong and stable rear, flowing C-pillar and dominant high shoulder. The coupe-like roof-line contrasts dramatically with the rear bumper and gives a power and solidity to the rear view. This bold but elegant appearance is strengthened by the distinctive feature line which adds tension to the flanks and accentuates the dynamic stance of the car. 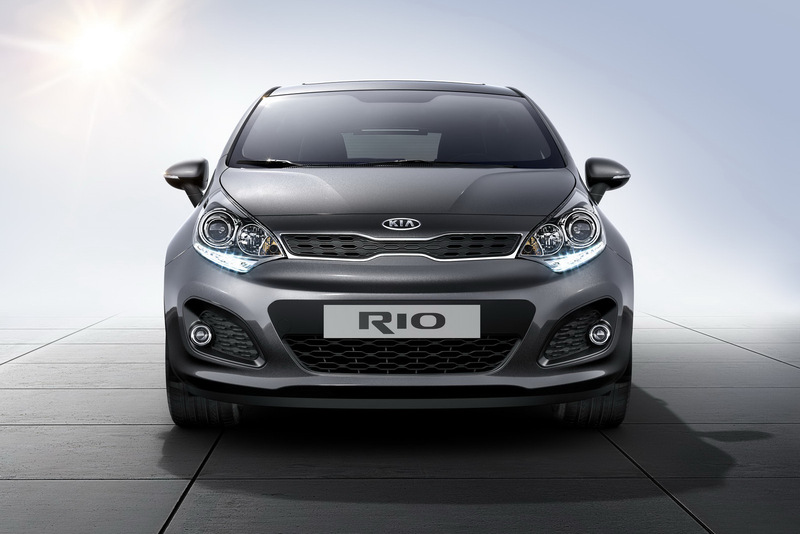 The careful balance of window graphic, wheelbase and overall proportion give Rio a refined and premium presence. To maximise the impact of Rio´s striking appearance is a fresh new palette of 10 body colours. 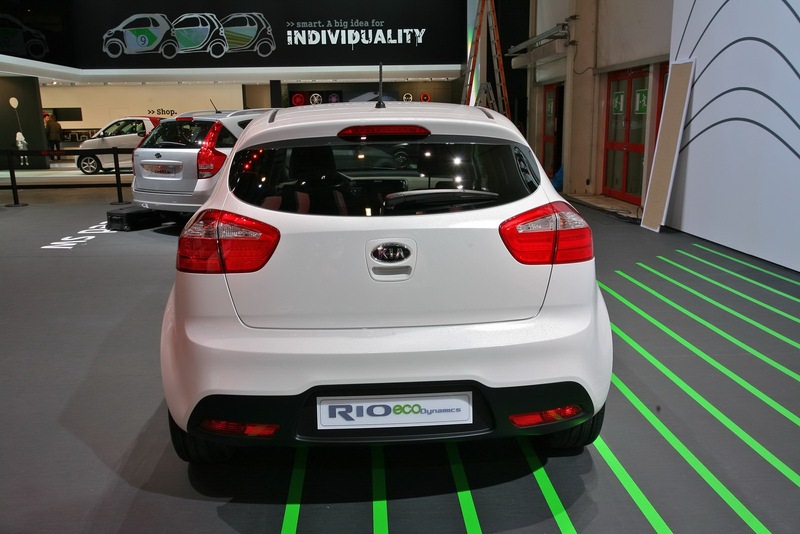 Kia’s colour and trim team have developed a spectrum of exclusive colours for Rio which underline its stylish character. 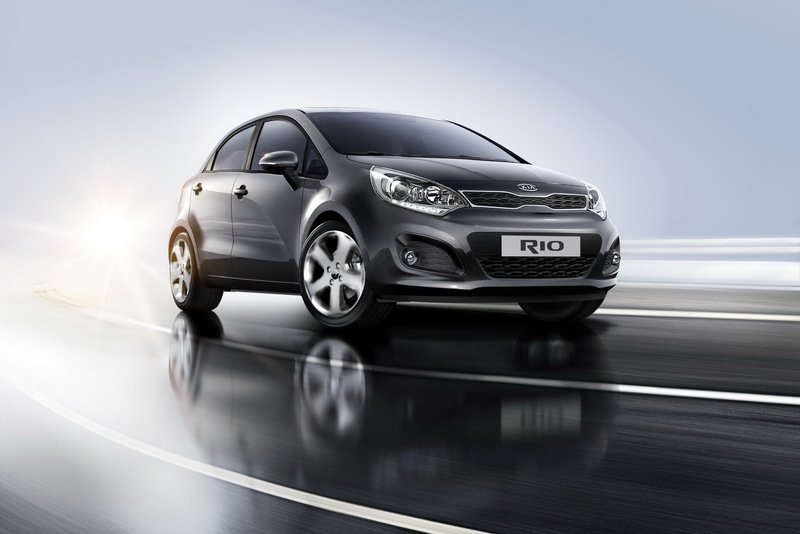 With the introduction of the new Rio, the Kia product portfolio has just taken the next important step towards becoming a family of vehicles which has an attractive and coherent brand style but still manages to retain individual product character. To complement the striking exterior, Rio’s interior design has also been transformed, with a clean sophisticated theme. The concept follows the corporate Kia interior philosophy with the characteristic horizontal instrument panel, accentuating the feeling of width and space. 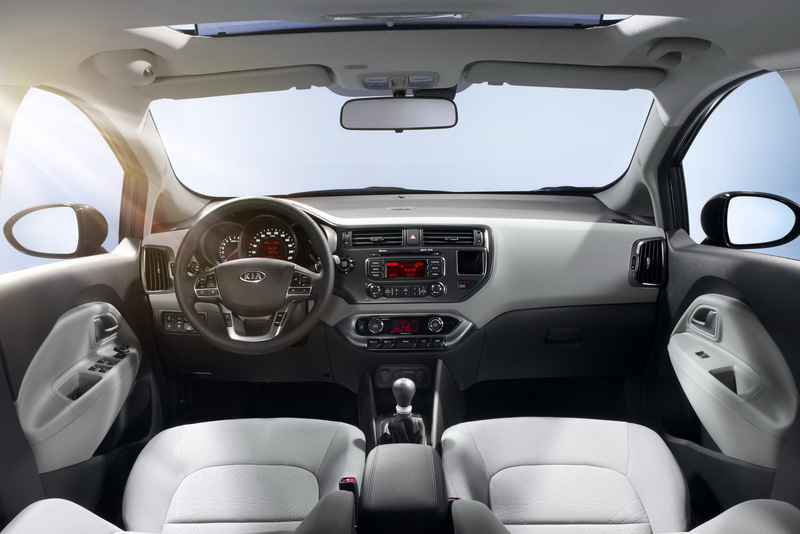 As in other recently-launched Kia models, the signature interior architecture – with its ‘three cylinder’ instrument cluster, precise instrument graphics and clear functionality – has been retained. New for Rio, however, are the centrally-located toggle switches, which are neatly integrated into the central heater unit, and control some of the secondary functions. The sophistication of this interior concept is also reflected in the breadth of trim options which give the car a genuine premium feel. 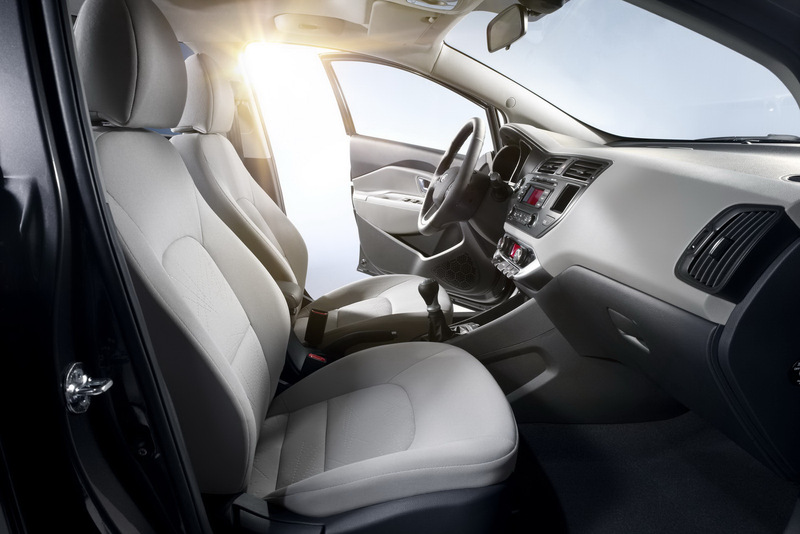 The bespoke feel of the interior underlines the new focus for Rio as a mature and compact premium car. The current trend towards downsizing of vehicles which is being seen across Europe means that cars in the B-segment require more refinement, more features and higher quality but above all more choice and distinctive design is in demand. The radically-new Rio is Kia´s answer to these new market conditions, and numerous ‘big car’ comfort and convenience features will be offered to consumers when new Rio goes on sale in Europe. 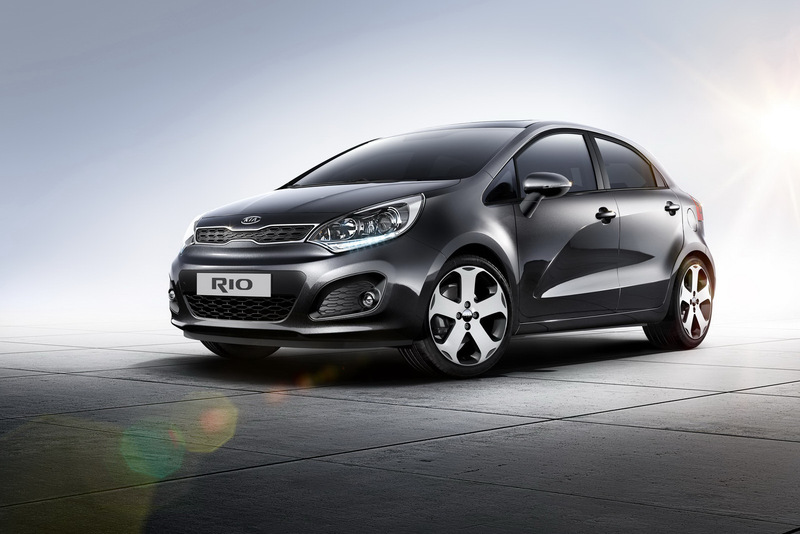 Optional features available on new Rio cars for the UK market will include smart-key entry system, RDS radio CD player with MP3 compatibility plus AUX, iPod and USB connections, Bluetooth® handsfree (with voice recognition available from December 2011), climate-control air-conditioning, heated front seats and LED daytime running lights. The new Rio’s cabin is more spacious. The base of the windscreen is moved forwards by 156 mm and up by 18 mm, while the 70 mm longer wheelbase and 25 mm wider bodyshell bring space benefits for all occupants and luggage capacity. 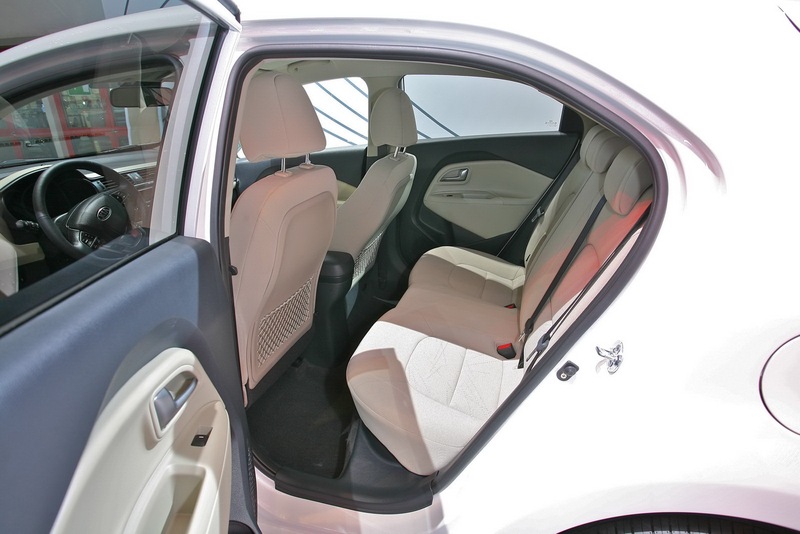 Front legroom is increased by 45 mm, front headroom by 8 mm. The boot space is 100 mm wider and the capacity is now 288 litres – a 7% improvement over the previous model. The backrest of the rear seat is split 60/40 for maximum versatility. Users can fold the backrest down, to create an almost flat-floored load area. Cabin storage includes a larger, 15-litre glove box, a larger centre console with 3-litres of extra capacity and pockets to hold a 1.5-litre bottle in the front doors and a 0.5-litre bottle in the rear doors. In the UK the new Rio will offer customers a choice of four highly efficient three- and four-cylinder engines – with a 70-to-109 ps power range – and a CO2 base-line rating from just 85 g/km, plus fuel consumption as high as 88.3 mpg. 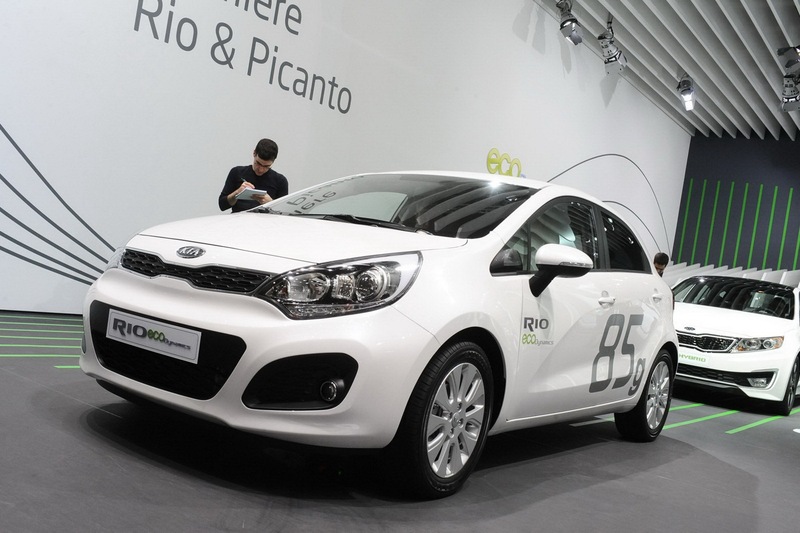 In many countries, diesel power is the preferred option in this segment and Rio will be available with two versions of Kia’s ‘U2’ power unit – both fitted with 16-valves and a Waste Gate Turbo. The 1.4-litre generates 90 ps and 216 Nm of torque, while the 1.1-litre produces 70 ps and 162 Nm. Both engines deliver maximum torque from just 1,750 rpm. 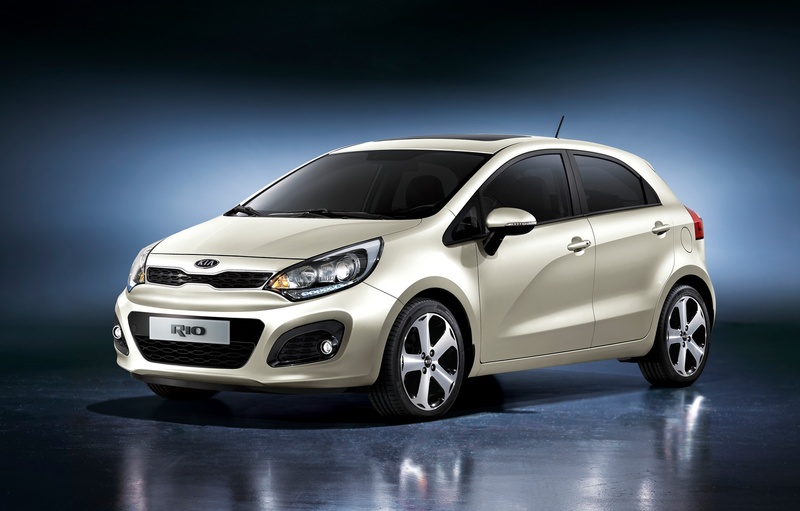 Buyers who prefer their new Rio powered by petrol can select from a 1.4-litre Gamma or 1.25-litre Kappa engine. 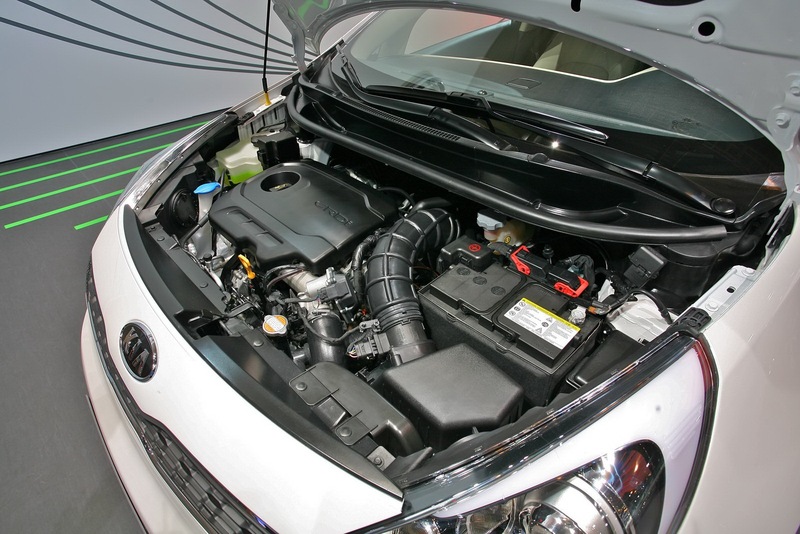 A well-proven power unit in the Kia line-up, the updated ‘Gamma’ has friction-reducing modifications and dual Continuously Variable Valve Timing, to achieve a responsive performance and competitively modest fuel consumption. With maximum output of 109 ps and peak torque of 136 Nm, this engine powers the fastest Rio – accelerating to 100 kph (62 mph) in 11.5 seconds and reaching a top speed of 181 kph (112 mph). 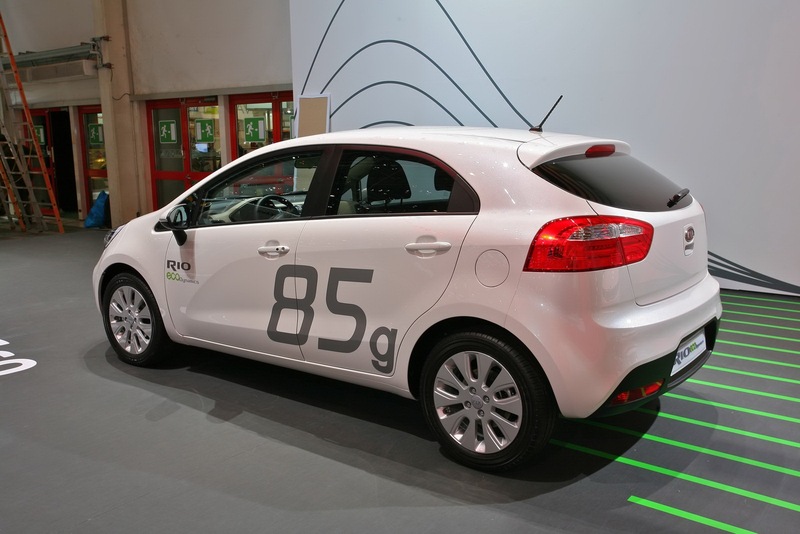 Kia’s advanced ‘Kappa’ family of engines – also appearing in the New Picanto at the Geneva Show – features dual CVVT, a cast aluminium block, off-set crankshaft, maintenance-free timing chain and low-friction ‘beehive’ valve springs. These technologies significantly improve efficiency and reduce exhaust emissions. 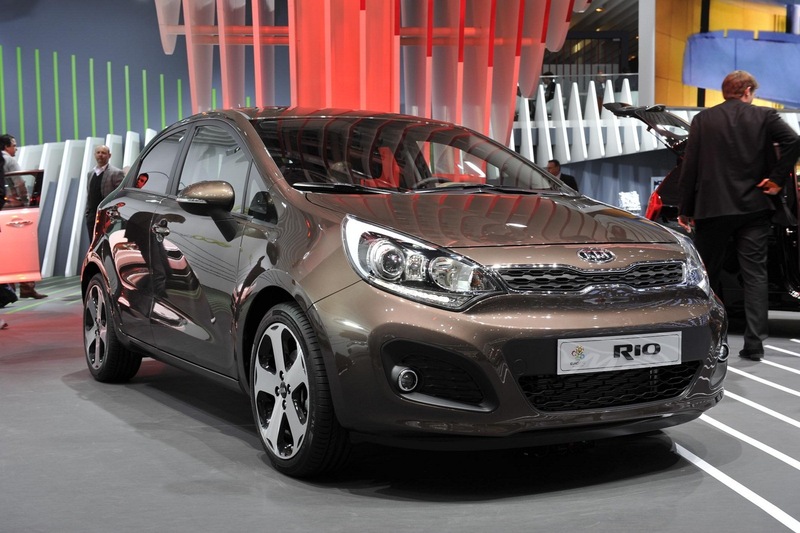 The 1.25-litre engine in Rio delivers 85 ps and 117.8 Nm of torque, while achieving fuel economy of 58.8 mpg. 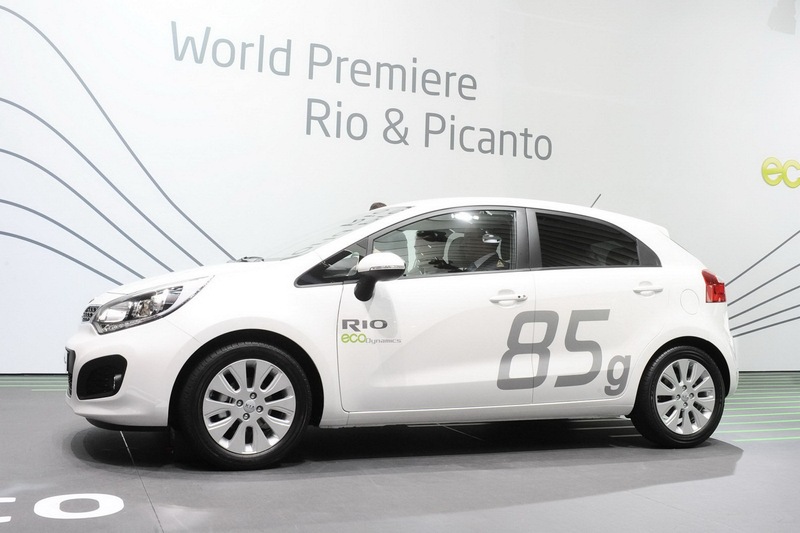 Rio models will have a CO2 rating of 94-to-124 g/km. In the UK, these figures can be further reduced by specifying Kia’s optional fuel-stretching ISG technologies (automatic stop-start, advanced alternator control, upgraded starter motor and low-rolling resistance tyres) – available on selected UK models. Equipped with ISG, Rio’s emissions will range from 85-to-114 g/km, so the two diesel models (under 100 g/km) qualify for local emissions-based tax savings, where available. For these models, fuel economy will range from 88.3 to 58.8 mpg, contributing to lower running costs. Standard transmission for both diesels and the larger petrol engine will be a six-speed manual gearbox, while the 1.25-litre 85 ps petrol engine has a five-speed box. 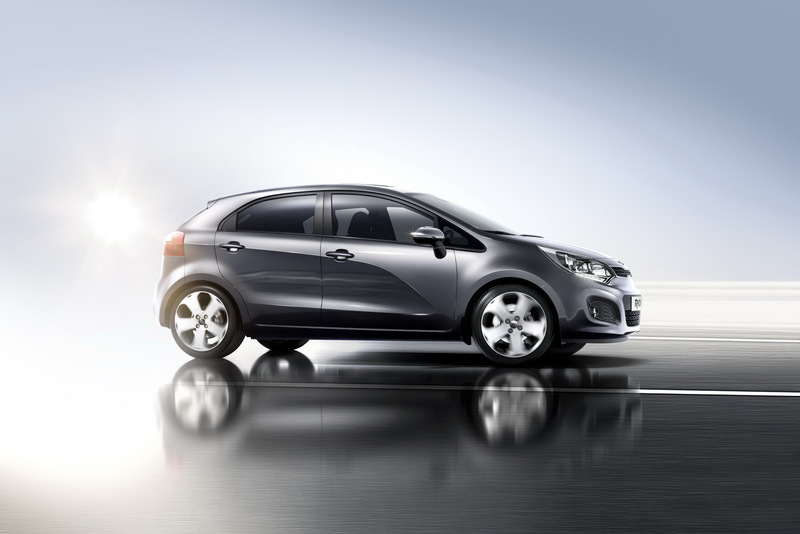 A four-speed automatic gearbox will be available as an option on the 1.4-litre 109 ps petrol engine. Developed from the previous model, the New Rio’s suspension and running gear has been engineered to carry over that popular car’s responsive handling while improving stability, ride quality and refinement – in line with heightened customer expectations. The electric power-assisted rack and pinion steering now features a combined torque/angle sensor to protect against side wind gusts. It is geared to require 2.8 turns (lock-to-lock) and the steering wheel is adjustable for both height and reach. Mounted on a sub-frame to isolate road shocks, the MacPherson strut front suspension is largely unchanged, with small alterations to accommodate the new model’s longer wheelbase, wider track and different weight distribution. The Coupled Torsion Beam Axle at the rear is stiffer therefore reducing under-steer and the strength of the connection between the trailing-arms and the stub-axles is doubled, improving stability. Wheel travel is increased by 10 mm and the geometry is improved to reduce bump-steer and deliver a more compliant ride. An all-disc braking system – with 256 / 262 mm (front / rear) diameter discs – is standard on all new Rio models fitted with Electronic Stability Control. The performance of the braking system is supported by ABS anti-lock, electronic brake force distribution and emergency ‘brake assist’ systems. 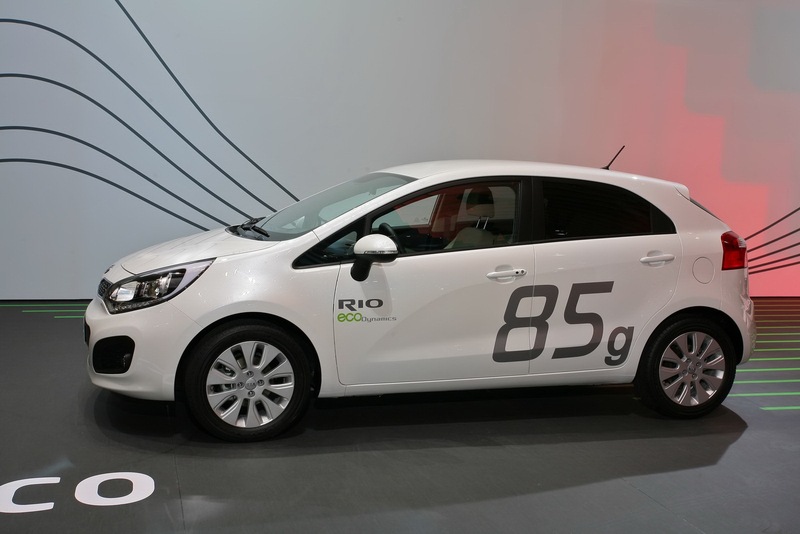 For new Rio, an all-new bodyshell was created using a higher percentage of high-strength steel than the third-generation model, enhancing strength and rigidity. Special attention was given to strengthening the engine-bay longitudinal side members, floor panel side members, floor level cross-member between the B-pillars and the transverse dashboard bulkhead. Kia’s engineers are confident that new Rio will achieve a 5-Star safety rating in EuroNCAP crash tests, following the top ratings scored by cee’d, Venga, Soul, Sportage and Sorento. In the UK, standard safety equipment will include electronic stability control, six airbags and ‘active’ front seat head restraints, to protect against whiplash injury in a rear impact. A new system called Emergency Stop Signal will be available for additional safety. To alert following drivers that the car is slowing rapidly, sensors detect when the driver is braking suddenly and hard, and then automatically flash the brake lights three times. Measures to minimise NVH include increasing the rigidity of the car’s bodyshell structure with a stiffer steering column support bracket, reinforced panels within the C-pillar, strengthened rear fascia and increased stiffness for the inner and outer skins of the tailgate, plus larger hydraulic mountings for the engine and transmission to dampen vibrations.